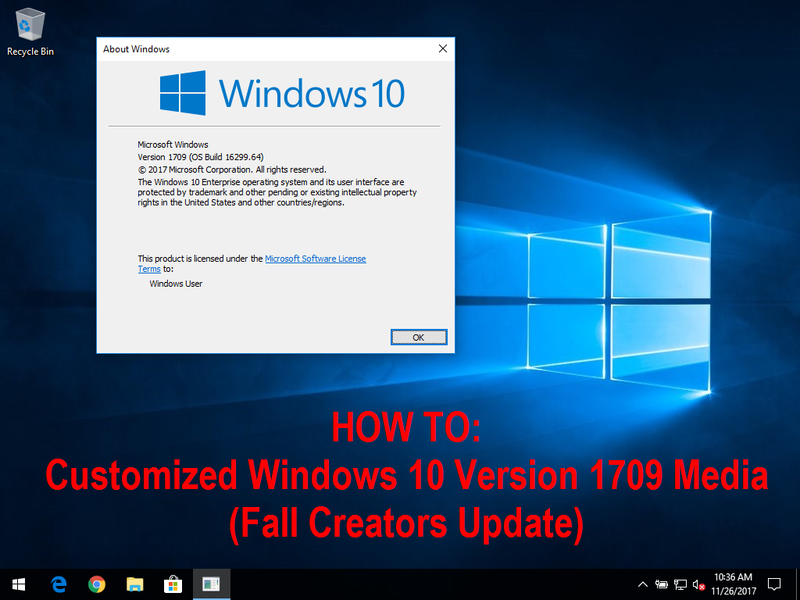 It’s Fall 2017 (in North America), and you know what that means – Microsoft has released the latest Windows 10 version. This also means that it’s time for an updated “How To” on creating customized Windows install media. Why are my Windows 10 Devices updating via Microsoft Update and not SCCM? Update (10/23/17): Microsoft has provided a new GPO in 1709 ADMX that (helps) resolve this issue! Go here and learn what’s needed. So, this is an extremely frustrating situation I recently ran into within the organization I work for. 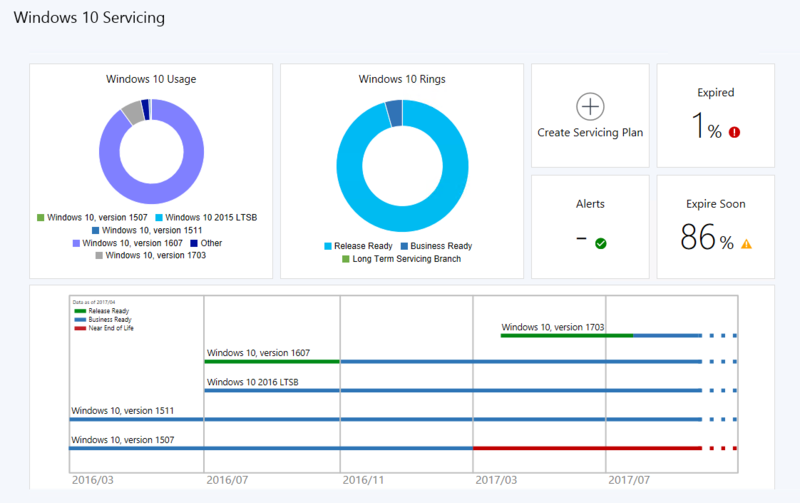 Following the Official Microsoft Installation Procedures, I installed SCCM CB 1702 and configured Windows 10 updates using System Center Configuration Manager (see here). 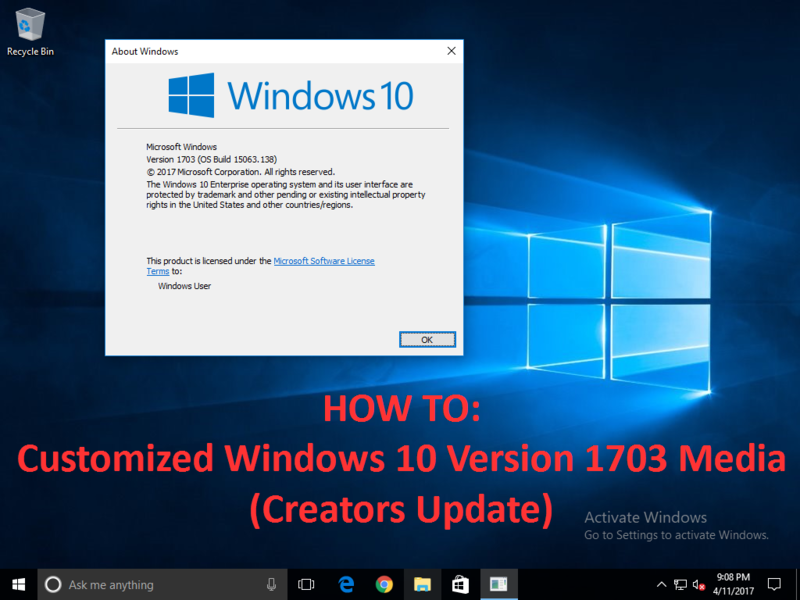 It’s April 2017 and Microsoft has just released their fourth update / “version” of Windows 10 – externally referred to as the “Creators Update”. Since I haven’t updated my “How To” on creating customized Windows media since Windows 8.1, I think we’re overdue for a follow up. So let’s get into it! As I mentioned in my previous posts, Microsoft brought back Split WIM functionality with the latest MDT (Microsoft Deployment Tools) – which is great! – but what if you’re trying to achieve the opposite? I ran into this situation this past week and was pulling my hair out trying to find the solution. Note: This post is a targeted to a certain Enterprise Audience and therefore will be very straightforward with less pleasantries and/or screenshots. 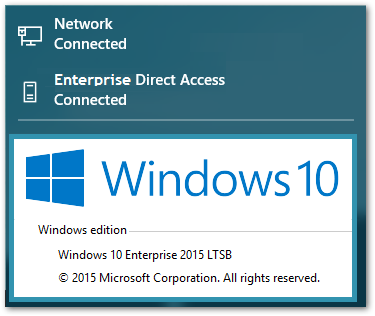 If you’re like me, and after testing the various Windows 10 editions, landed on the LTSB as your favorite, you may be having some issues if you use DirectAccess. Microsoft has listened. In my previous Creating Customized Windows 8.1 Media post, I detailed how to deploy a customized Windows 8.1 image utilizing UEFI with two different USB flash drives. The need for two drives stemmed from the fact that Microsoft removed split WIM support, thus resulting in a single file greater than 4096 MB, which isn’t allowed on FAT32 partitions – the requirement for UEFI boot. Utilizing two drives allowed us to UEFI boot off one FAT32 drive, but have the WIM on a second NTFS formatted drive. 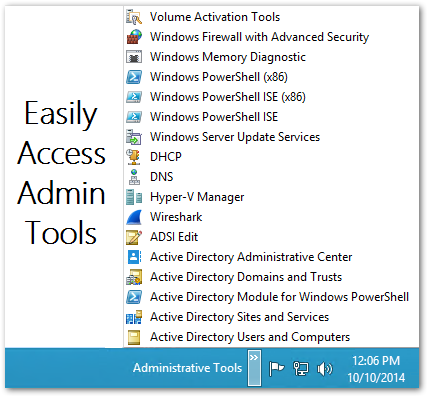 In Part 1 we used Hyper-V to build, update, and sysprep our custom Windows 8.1 Installation. Now we need to make some Install media! 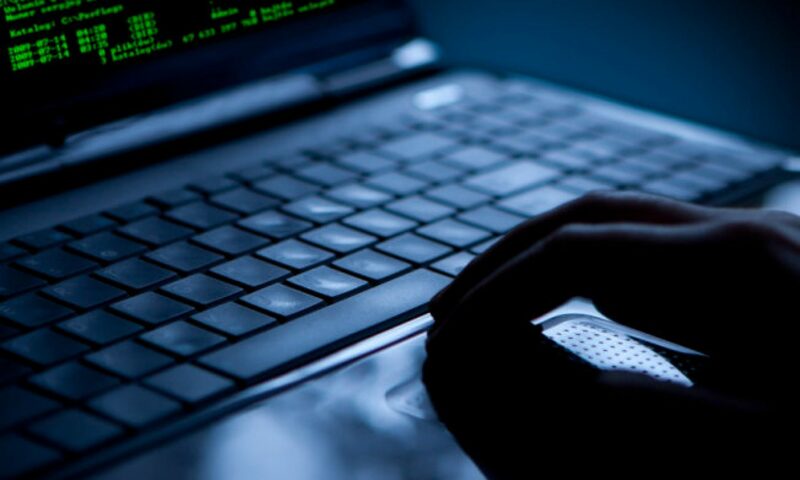 If you’re unfamiliar with this process, or you haven’t built customized Windows media since the XP days, you may not be familiar with WIM files. 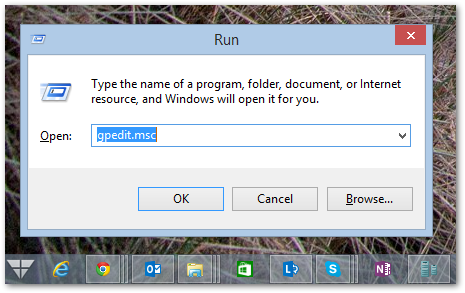 Essentially, the WIM file is a compressed image which is deployed during Windows installation. (Think of it like extracting a large .ZIP file.) If you take a look at your Windows 8.1 install media, you’ll find that amongst the plethora of files, the largest will be \Sources\install.wim – approximately 3.1 GB on x64 media. I’m sure this is something everyone has (or will) have to tackle at some point in their Windows IT career – creating a customized version of Windows for the office, for the enterprise, or for a specific one-off scenario. I’ve gone through the steps many times, and each time I seem to do things a little bit differently. 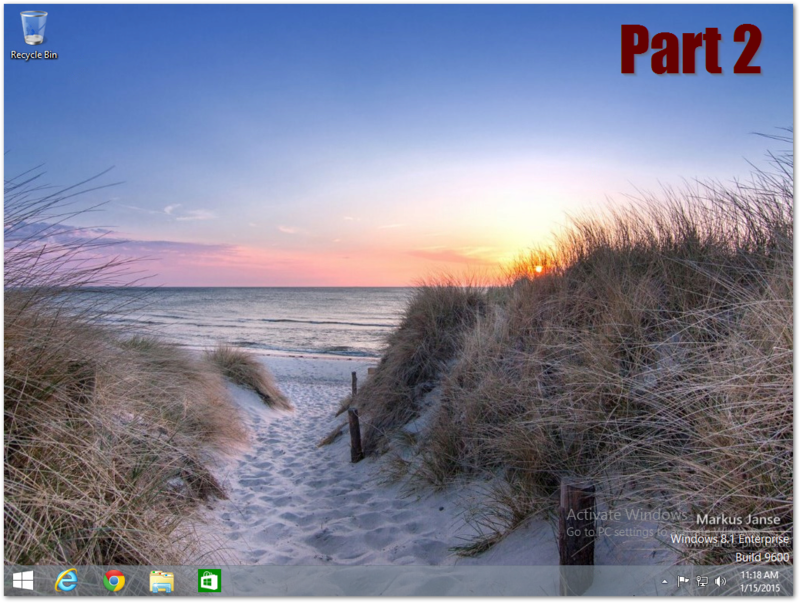 Recently, I wanted to create my own customized version of Windows 8.1 Enterprise. This isn’t for work, it’s for me. I’m constantly having to reimage my PC(s) for personal projects, and I got tired of re-downloading all the updates and re-installing all my apps. This is something I had been putting off for a while, but now that it’s completed, I wanted to document the steps I took, and more importantly, what worked. In my last post, I walked through the (relatively easy) steps to add a menu style Administrative Tools toolbar to the taskbar on Windows 8.1 / 2012 R2. For a “Generic IT Tools Machine” project at my day job, we needed to make this toolbar appear for all users – without requiring them to manually perform these steps. I know that Microsoft is bringing back the Start Menu (or some interation of it anyway) with Windows 10, and I will post some thoughts about the upcoming OS in the future, but for those of us still using Windows 8/8.1/2012/2012R2 and missing the easy accessibility to Administrative Tools you had with Windows 7 / 2008 R2 – I have a solution for you.